These signs were intended for “all commercial trans-stellar and heavy element transport craft” and are wonderful examples of graphic design. Conceived when the film was in pre-production sometime during the mid/ late 1970’s, they have a graphic simplicity and an almost contemporary feel that would not look out of place in todays CGI-tastic adventures. It’s absolutely mind boggling to see details like this come out of a movie. I can’t believe how many details like this are created just to make one film. However, it’s exactly this type of detail that captures you and makes the movie feel real. Great signage. 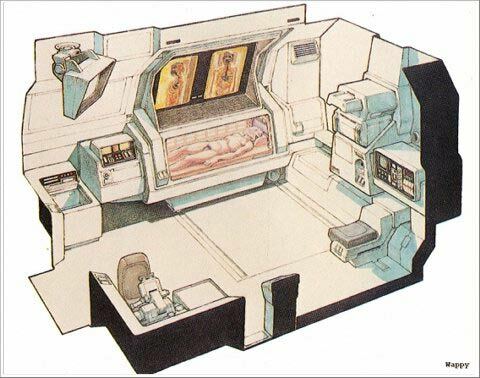 I love the “artificial gravity absent” sign. 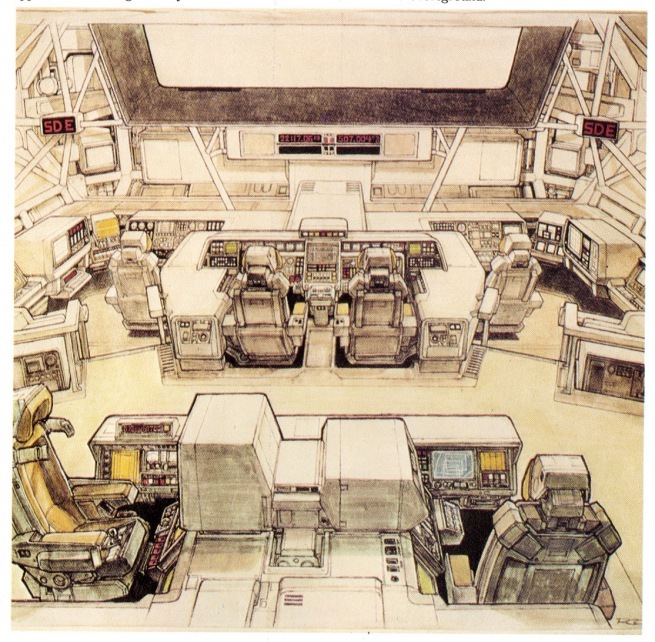 A blogger, after my own science fiction heart, writes about the overlooked art of Ron Cobb and its effective legitimization of the set dressing of the Nostromo. Long live the ‘Semiotic Standard’! Awesome article, my friend! 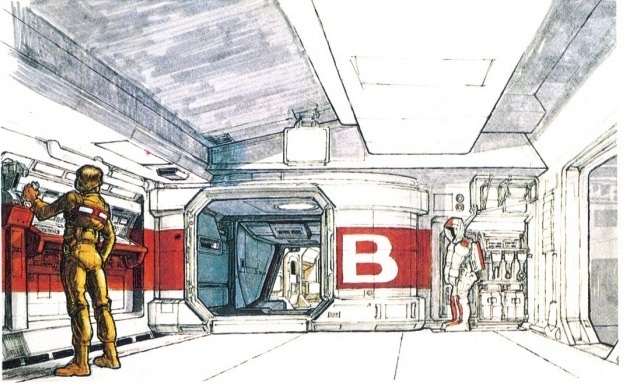 I have been fascinated by the semiotic standard Cobb created since realizing how widely it was used to give the Nostromo believabliity. And then when I saw it was used in ‘Prometheus’ further thrilled. I enjoy watching modern SF films and looking for such verisimilitudes. Thanks for helping point this stuff out and for a great read. Cheers! Thanks for the kind words. I’ve loved all things Sci and Fi for as along as I can remember and I’ve always thought it odd/ unfair that as a genre it seems to be looked down on as somehow inferior and not as important as other genres, whereas you and I both know that you can’t beat a bit of proper future escapism..
I’m late to the party, but wow, awesome artwork! Could you make a poster out of this?